The Medina County Courthouse in Hondo, Texas, will remain as-is after a battle between restorationists and preservationists. In the world of historical preservation, when it comes to restoring a building, there is often the difficult question to answer of when does history begin and end? So many of our significant elderly structures have undergone numerous renovations and additions, such that stakeholders can easily come to loggerheads when deciding exactly what to protect and what to discard. 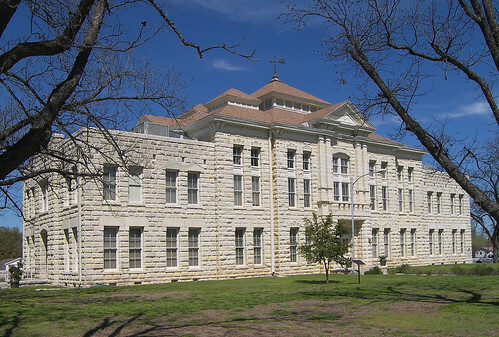 Just such a drama has recently played out in Hondo, Texas—a little town west of San Antonio—where county commissioners have decided to not restore their courthouse to its original 1893 condition. While the project, which was to receive funding from the Texas Historical Commission (THC), would have restored an 1893 clock tower, it also required demolishing two wings of the building that were added in 1938-40 by the Works Projects Administration (WPA). 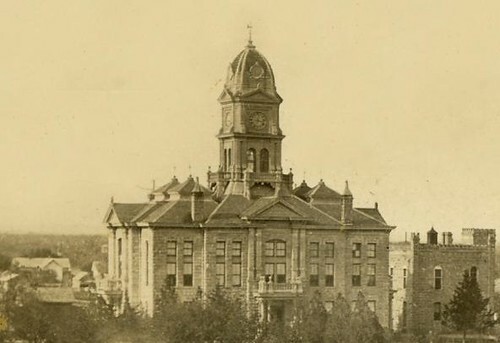 The original courthouse not long after its completion in 1893. Note the clock tower, which was demolished during the WPA renovation in 1940. While there was a contingent of people who were against the restoration because they believed in the historical worth of the WPA additions, in the end it was a question of money that killed the project. Restoring the courthouse was estimated to cost $5.7 million. THC was prepared to write a check for an initial $372,000 to get work started, but after that the state’s commitment seemed murky and county commissioners balked at the possibility of being stuck with an obligation to finish the project on their own dime.